Part of the passion of my life is a drive to create and to share what I have learned with others. so it is not confined to where I am or when I am. 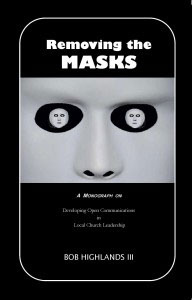 Truth transcends all barriers and is always the final arbitrator of all we are or hope to be. Jesus was clear that he is "the truth. *"
It is about this truth I have committed my life and which I write about most often and with deep passion. Take a glimpse into eternity and what it holds for both the believer and the non-believer. Winston James Cummings has five minutes and thirty-four seconds till he steps off the curb and find himself facing the question of what happens when we die. His experience could help you adjust your life so you do not end up as surprised as he was. 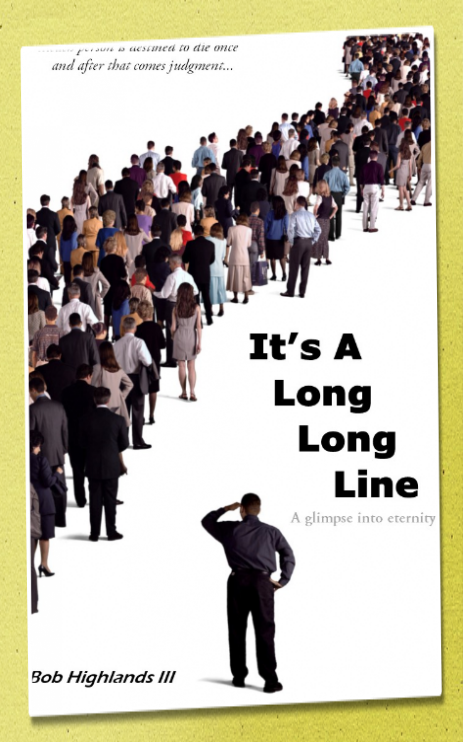 Drawing on a rich imagery the book, It's A Long, Long Line, allows you to experience what the afterlife first moments will be like. Every hour of every day about 6,000 people step from the physical shadow of life into the spiritual and eternal afterlife. Each of them has an appointment to keep. Walk with one man as he looks behind the curtain of eternity and discovers why making advanced preparations is a vital part of our life here on earth. 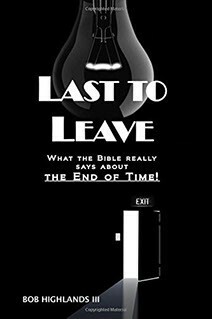 Last to Leave shares what the Bible really says about the End Of Time. Popular Christian culture has lost sight of the Word of God and has instead focused on the sensationalized teachings of a few to redefine end times teaching. Pastor Bob takes a systematic approach in investigating the Bible teachings surrounding the return of Christ and the End of Time events. Last To Leave will answer questions about The Antichrist, The end of time, The Millennium, The third Temple, The three Heavens, The Mark of the Beast, How to interpret scripture, The setting up of Jesus’ Kingdom, The final battle between good and evil, A Verse by verse look at Matthew 24 & 25 A commentary covering the Book of Revelation, The chain of events that happen at the end of time and A special section about the origin of Satan and Demons. Much of what you believe about the end of time may be wrong. Take the time to find out what the Bible really says about the end of time. The Real Jesus book series is designed to be used as part of the study of the life and teachings of the Son of God. 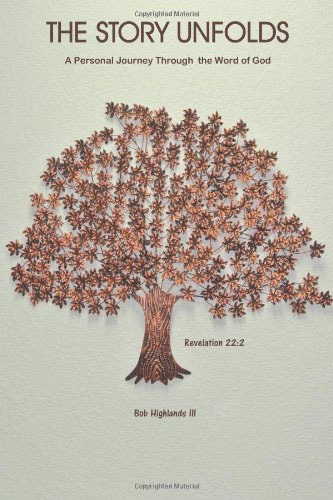 This study covers the life of Jesus and using the NLT Chronological Bible allows the individual to cover every event and teaching of Jesus in one year. The best way to know Jesus is to study his life and teachings from the beginning right up to his ascension ten day before Pentecost. His childhood and family hold clues to the great plan God the father put in place . The four gospels give us four views into the Life and Teachings of the Son of God. This series is designed to help you discover THE REAL JESUS. Is This Heaven For REAL? A Pastor's answer to the question that he was asked again and again. 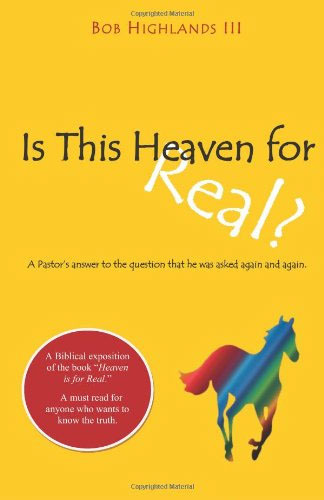 A Biblical exposition of the book 'Heaven is for Real.' 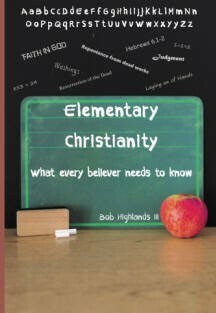 Bob Highlands answers the question about whether the book is true or false. This small book gives the reader the basis to be able to form their own opinion. 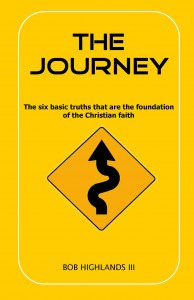 The Journey: The Six basic truths that are the foundation of the Christian Faith.